Shanghai Vision Digital Printing Co., Ltd.
Shanghai Cloly Digital Technology Co., Ltd.
6. The ink&rsquo;s parameter value is similar with the original one. Reliable products Our company has been verified Bureau Veritas and Alibaba. 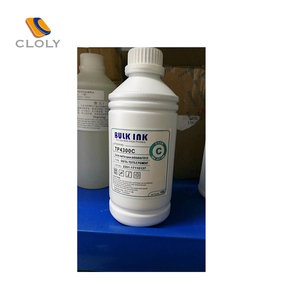 All our ink are comparable to original ink, never clog your print head C.
Shenzhen Kyeink Technology Co., Ltd.
Refill printer dye ink for Epson inkjet printer Specification: 1. 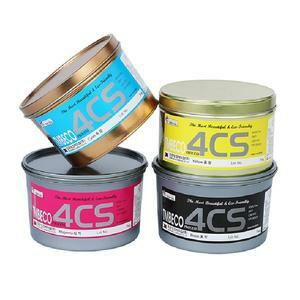 4colors: C/M/Y/K/ 6colors: C/M/Y/K/LC/LM 2. Packing: 100ml/bottle, 500ml/bottle, 1L/bottle, 20L/bottle 3. 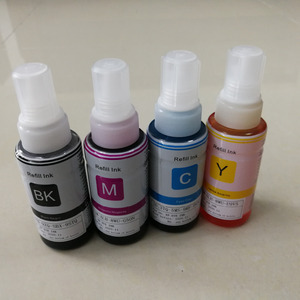 Preeminent quality, Fresh color Our water based dye ink for desktop printer, at volume 100ML/500ML /1L /5L /20L /25L bottle in your choice, with color BCMY, LC, LM etc (Color according to printer model). Advantages: 1) Color :BK,M,Y,C,LC,LM etc . (the color depend on which model you need ) Packing with 30ml ,60ml,100ml ,250ml ,500ml ,1Liter ,5Liter ,20Liter . Within 1 year, if the boards have any problems, please send the defective board to us and we will repair it soon. At the first time, free training course will be provided to assist customers on installation and maintenance of the printer. If customer needs, we can send our engineers abroad to provide service such as machine setup and repairing. Zhuhai Richeng Development Co., Ltd.
We know the print head is the core component of the printer, and expensive. Keep nozzle moist, turn on printer at least once a week, in order to avoid long time turn off, the ink dry and plug. d. As soon as you found printhead clog, you should stop printing, and check printer head, ink cartridge or ink channel. Apollo ink is committed to producing the most reliable inkjet ink to client satisfaction. 5. Printer: As the printer manufacturers adopt different technologies, the print's quality will vary according to printers. Therefore, it is a better choice if the output needs to be kept for a long time. Has more than 1 00 employees with an annual production capacity of over 6000 tons . We only use newly advanced machineries and facilities and strong technology and research. Today, we has more than 100 employees with an annual production capacity of over 6000 tons. WDD Date coding ink for Willett, Domino ,KGK, Imaje , Linx Color for your choice: black, white, yellow, red, blue,etc. Digital ink for all brands: Domino, Willett Hitachi Linx Videojet Imaje and so on. Application: Details: 1. Delivery Time: 3-5 days upon the receipt of the payment. Wuhan Viojet Commerce and Trade Co., Ltd.
Guangzhou Yonsung Digital Equipment Co., Ltd.
2. water based, environmentally-friendly, no toxic and no heavy metal. 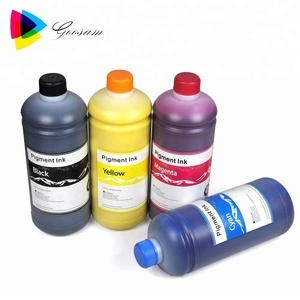 We can produce various inks according to your requirements. More info about our products, pls feel free to contact me . 2.Compared with other water-based pigment ink, this ink has more excellent fixation with media against abrasion. Besides, it will be long-lasting for its waterproofing and UV resistance. 4. 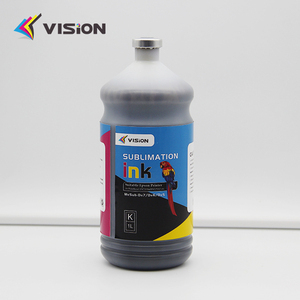 We ensure fluent printing without nozzle clogging. 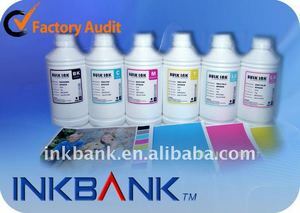 Alibaba.com offers 3,712 special ink for inkjet products. About 83% of these are inkjet printers, 2% are printing inks, and 1% are ink cartridges. A wide variety of special ink for inkjet options are available to you, such as free samples, paid samples. 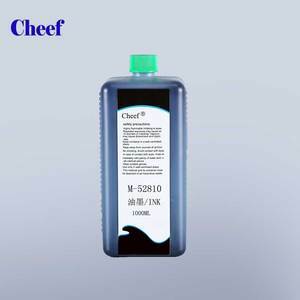 There are 3,727 special ink for inkjet suppliers, mainly located in Asia. 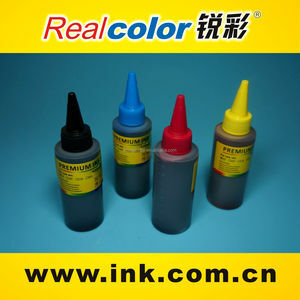 The top supplying countries are China (Mainland), Taiwan, and Netherlands, which supply 99%, 1%, and 1% of special ink for inkjet respectively. 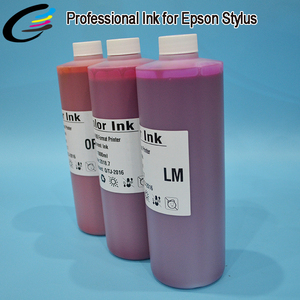 Special ink for inkjet products are most popular in North America, Southeast Asia, and Eastern Europe. You can ensure product safety by selecting from certified suppliers, including 1,332 with ISO9001, 244 with Other, and 139 with ISO14001 certification.